I have always been wary of Coupon-type deals online, where you get a “super amazing ten course meal at 80% discount!!!!*@*@!*!*~!*~! *~!” And very rarely have they impressed me, or felt worth the “original” price; in fact, my theory is that they have a coupon deal for a reason. The exception to that is Kobe Jones; I feel these guys haven’t had the best of luck in terms of location so perhaps that is why they need coupon deals… and the fact their dishes are expensive, but very good. Nevertheless I agreed to try Omah’s coupon deal. The restaurant is very clean and upper class, nothing like the scrungy Asian restaurants you see in the city. We were seated easily and without fanfare and had the choice of a few dishes on a pre-chosen menu. 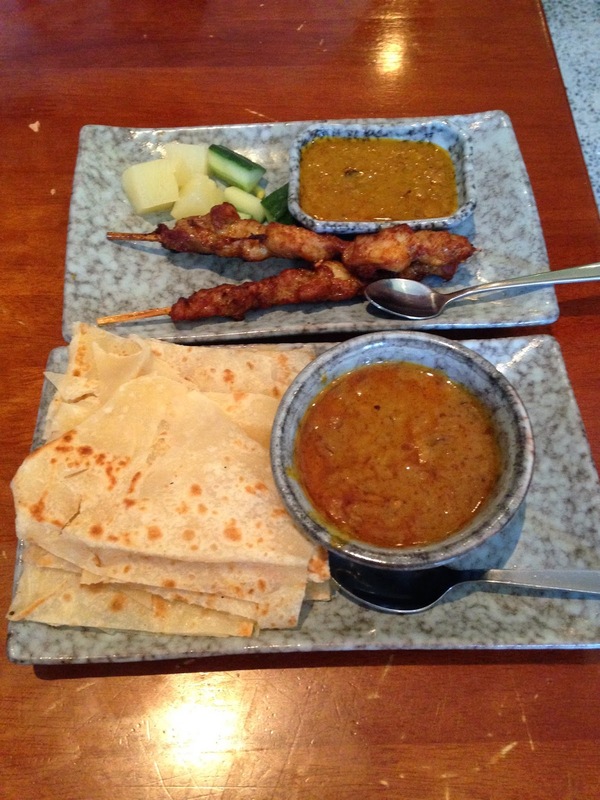 First up was Chicken Satay with peanut dipping sauce and Roti with… peanut dipping sauce. The sauces tasted incredibly similar, with the only difference perhaps being the roti sauce had more oil in it. The chicken satay was dry and tasteless and the roti was heated from a packet and tasted lacklustre and slightly waxy. The coupon included either wine or Tiger beer, but I’m not a big drinker so asked the waiter if I could swap to a (less expensive) non-alcoholic drink. 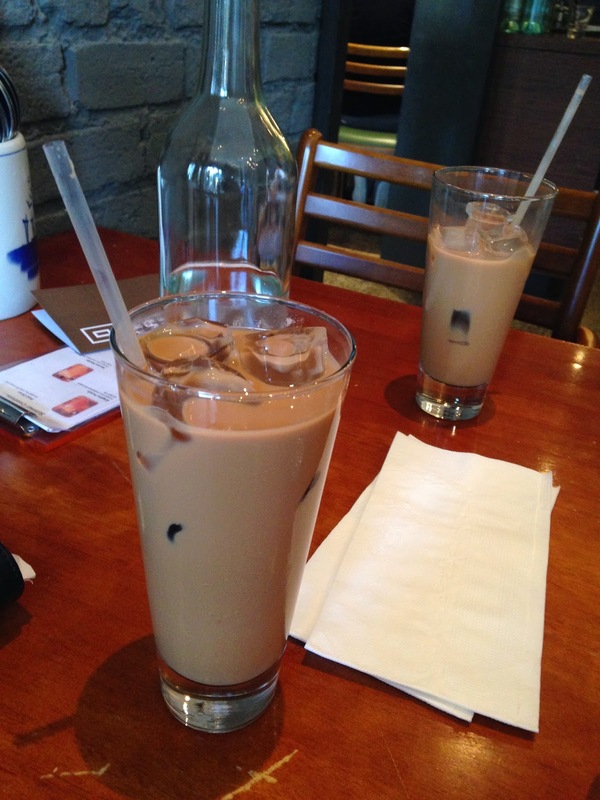 They didn’t oblige my lemon-lime bitters, but swapped it out for the Tek Tarik (iced milk tea), which was nice of them. Unfortunately I didn’t finish it as it tasted a little powdery. 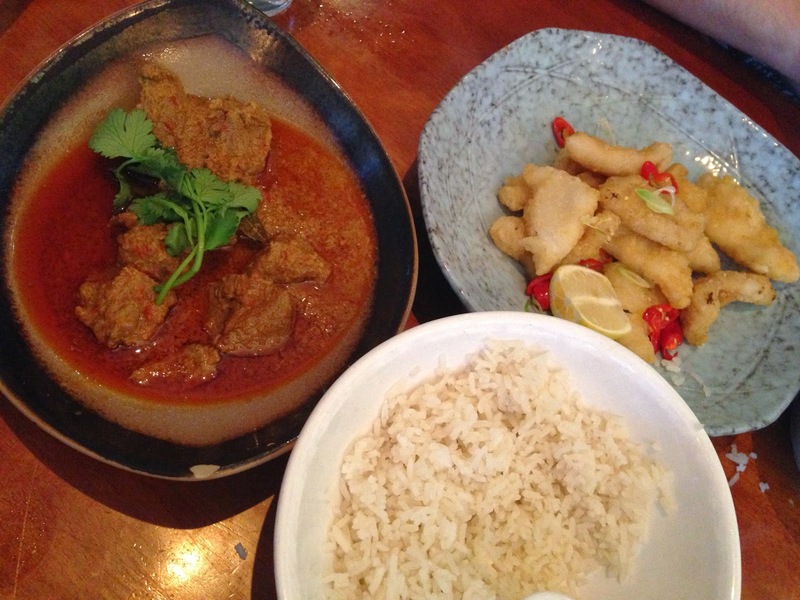 The mains consisted of Beef Rendang and Salt & Pepper Calamari with rice. The Beef Rendang was tasty and tender but it was disappointingly a very small serve. The salt and pepper calamari tasted ok but in the way that a frozen packet of calamari you heat up in oven tastes ok. 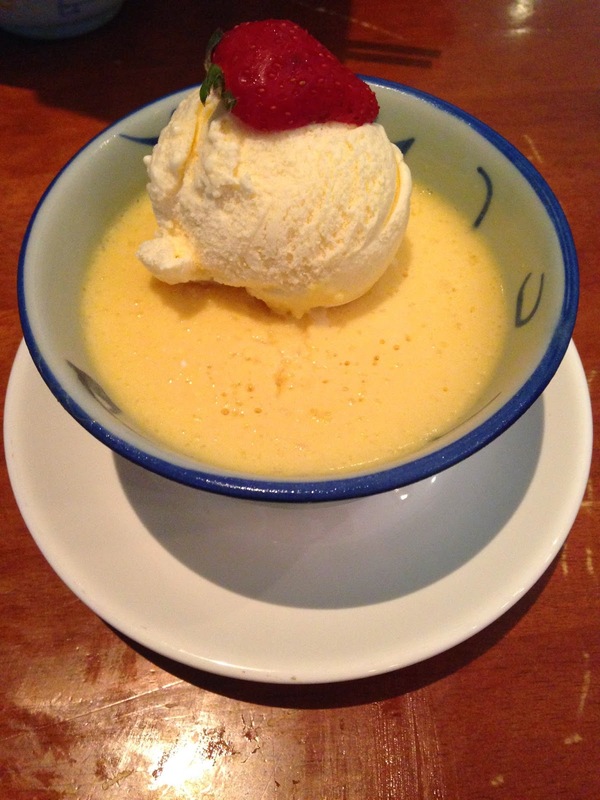 The mango pudding sago dessert was probably the best part of the meal for me; it was good quality, as was the vanilla ice-cream that sat atop it.